How Can Churches Keep Teenagers Connected? NASHVILLE, Tenn. – Today’s high school graduate is faced with an abundance of choices. Go to college or enter the workforce? Dorm life, apartment life, or mom and dad’s basement? But no decision may be as important as whether or not to continue attending church. A new study from LifeWay Research and LifeWay Students reveals that two out of three young adults who attend a Protestant church for at least a year in high school will stop attending church regularly for at least a year between ages 18-22. “Within Reach: The Power of Small Changes in Keeping Students Connected,” a new book by Ben Trueblood, explores the research and the differences between those young people who dropped out of church and those who stayed. “One of the first things that jumped out at us was the decline in the percentage of dropouts from a decade earlier,” said Trueblood, LifeWay’s director of Student Ministry. In 2007, LifeWay Research found 70 percent of teens who were active in church during their high school years dropped out of the church during their college years, compared to 66 percent in 2017. “While 66 percent is still a significant share of teens dropping out of church, we didn’t want to overlook the slight decrease,” he said. Trueblood also noted another data point that jumped out at him from the research. Of the 66 percent who left the church during their college years, 71 percent didn’t plan on taking a break. “It’s important to note that the majority of dropouts never plan on leaving; it just happens,” Trueblood said. “Within Reach” presents the 10 strongest predictors of young adults staying or dropping out of the church after high school, which includes parental influence, regular Bible reading, and the investment of adults. “One of the most influential aspects of a student’s spiritual development is the investment of multiple adults speaking into their lives,” Trueblood said. 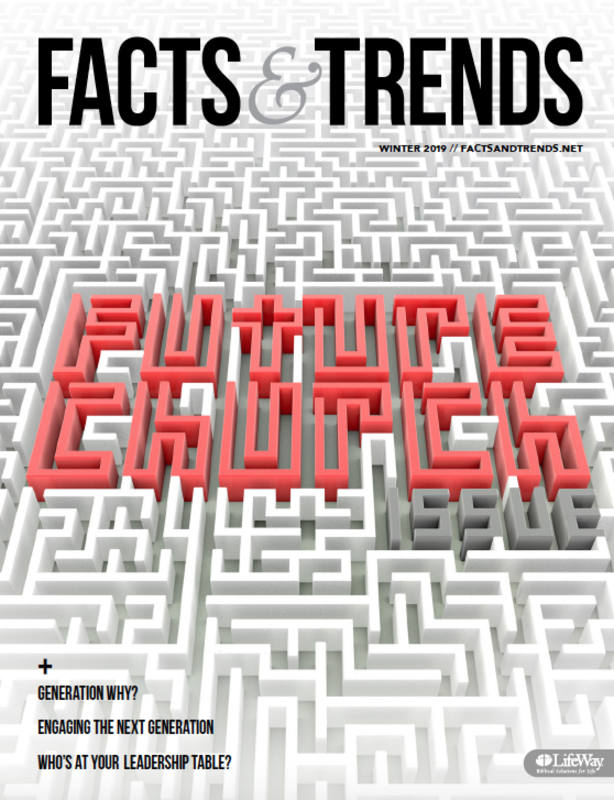 In the book, Trueblood unpacks each of the predictors and offers insight on how churches can capitalize on those things that influence church attendance among young adults.